Knightsbridge Properties, family owned since 2003, is a leader in the management services industry. Our company is founded on the highest moral and ethical standards giving our owners absolute peace of mind that their investments will fully realize their true potential. Our guests can be assured that staying in one of our beautifully appointed properties will provide them with the luxurious vacation of their dreams. 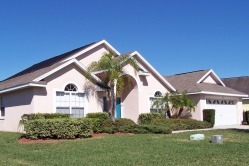 Knightsbridge Properties is committed to providing absolute turnkey solutions to your property management needs. From the purchase of your dream home to the licensing and day to day management of your investment. Remember, we are employed by you, the homeowner, to act in your very best interest. All maintenance of the home is conducted in house by our licensed and insured employees who by teamwork ensure your home is maintained to the highest standards.